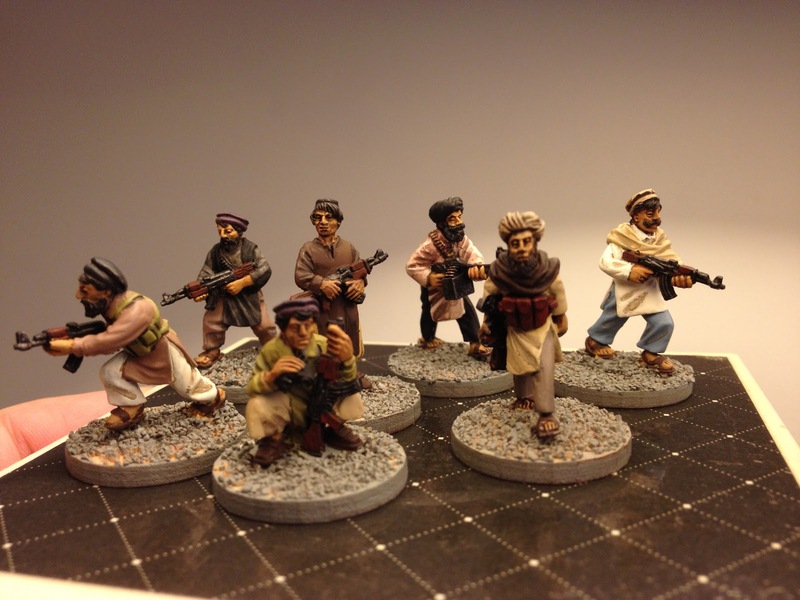 My first batch of 10 or so Taliban Miniatures are complete...just in time for me to realize that I've created some very unfashionable and in-turn completely unrealistic fighters. Whoops. When I began painting my Afghan Fighters, I Googled exactly that; afghan fighters. What I wanted to come up with was what sort of colors do they wear? In retrospect, I should have researched Afghan culture and clothing and actually read up on it. Because what happened is that I saw the colors, and went with it. But I didn't notice that the common outfit (baggy pants and long over shirt), a two-piece outfit called a shalwar kameez, is always the same color pants and shirts. It's funny because I saw it right in the pictures I was looking at, but I just noted common colors and went about painting my miniatures. It just didn't occur to me, as a westerner, that you'd have your shirt and pants match. Egocentric. 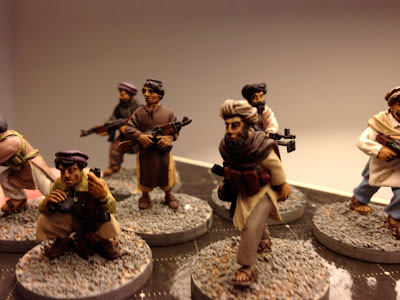 So, my first batch will look good to the unaided eye, and in the future, the first ten miniatures will need to be repainted, but I'll wait until I have my entire force done before redoing these fashion misfits. While the picture above shows some complete minis, the following shots were all taken before their bases were finished and before applying any dull coat (I've been bullet coating by doing a layer of gloss coat varnish followed by a layer of dull coat). 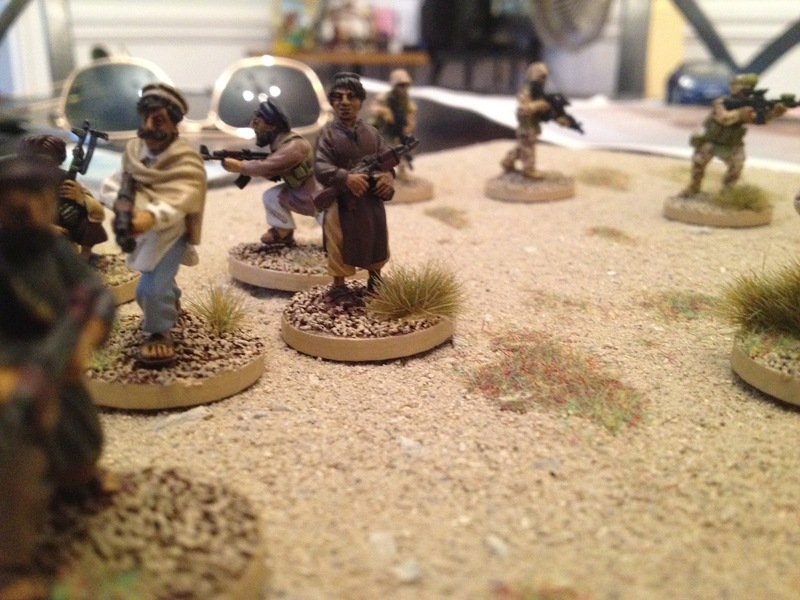 These two gents, Al Qaeda fighters operating with the Taliban, are perfectly acceptable and I'm quite thrilled with the Dessert Storm era Dessert 5 color pattern I was able to achieve.